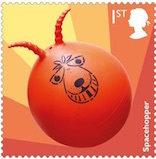 Our website has been updated with details of the Classic Toys set of 10 x 1st class stamps to be issued on 22 August. The set features some well-known and some not so well-remembered playthings: The Merrythought Bear. Sindy Doll, Spirograph, Stickle Bricks, Wm Britain Toy Figures, Space Hopper, Fuzzy-Felt, Meccano, Action Man, Hornby Dublo Trains. Meccano and Hornby Trains also featured on the Classic Transport Toys set issued in September 2003. Royal Mail have announced the winners of this year's Christmas Stamp Design Competition for children aged 4-11. I had some misgivings about what would be presented and chosen, based on some designs by younger children in the past, compared with the 22p from 1981 which rivalled designs produced by professional designers. But I quite like the winners this year, and feel that the judges have chosen well. HRH The Prince of Wales chose the two winners from the regional shortlists. The designs, ‘Santa Claus on his sleigh on a starry night’ by Ted Lewis-Clark, aged 10, and a pupil at Oakfield Academy in Frome, Somerset, and ‘Snow family’ by 9-year old Arwen Wilson, who goes to St Chad's Catholic Primary School in Dudley, West Midlands, were chosen from more than 200,000 entries. 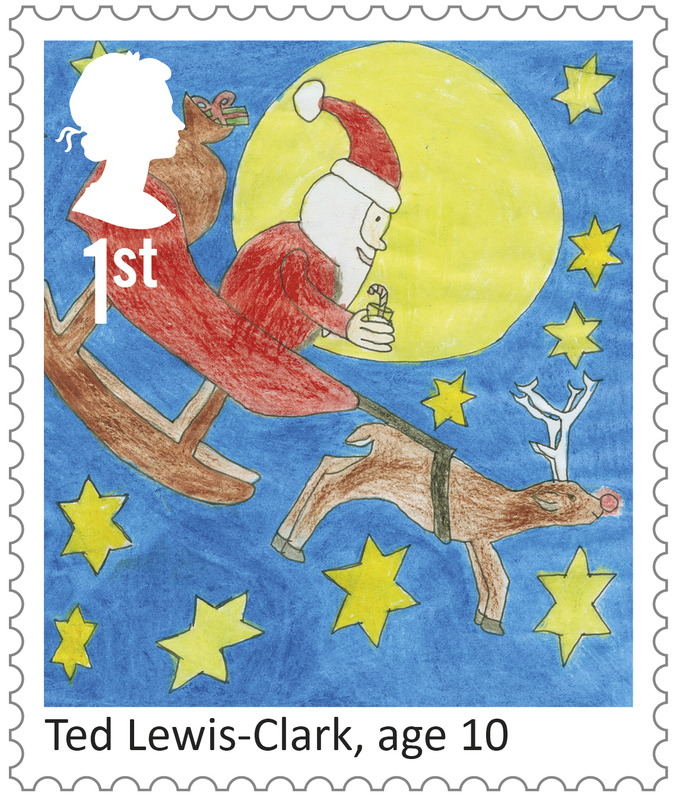 Ted’s ‘Santa’ design will appear on the 1st Class Christmas Stamp and ‘Snow family’ by Arwen will feature on the 2nd Class Christmas stamp. The stamps will be issued on 7 November 2017. 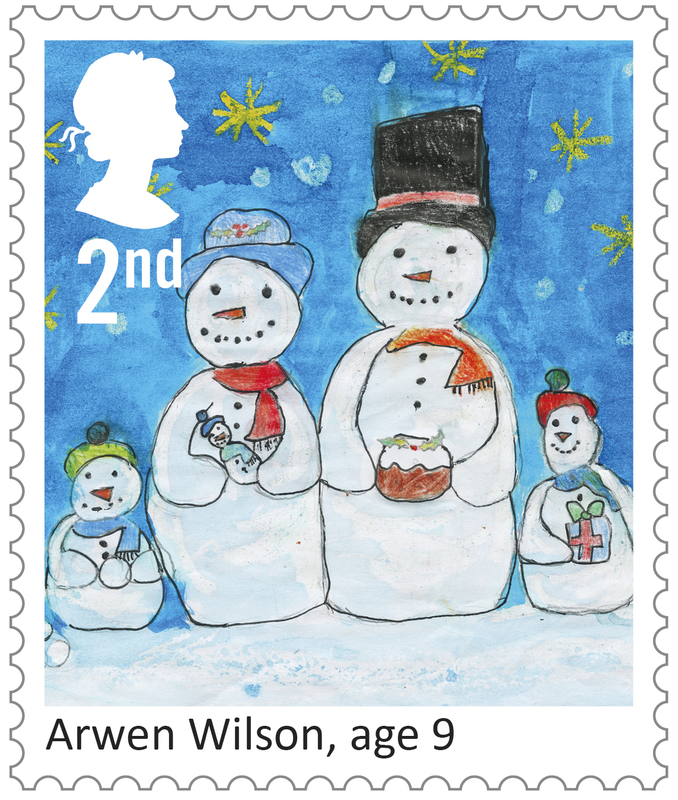 As usual other Christmas stamps for different postal rates, and a religious-themed issue, will also be available. A picture of the Canada 150 Commemorative Sheet has now been added to the original post. The Toys stamp set are really lovely they bring back a lot of memories, and I had all those toys when I was young apart from the Bear, Sindy Doll and Dublo Trains. Also I think the October Stamp Issue is probably an iconic TV cult show The Prisoner, its actually 50 years old come October 1st. The first episode aired 28 September 1967. The new national Postal Museum has opened! New inscription makes a mess of FAAM Post and Go. Philatelic Bulletins wanted by US collector. Post and Go Correction - don't waste a journey. Attention our webshop customers !